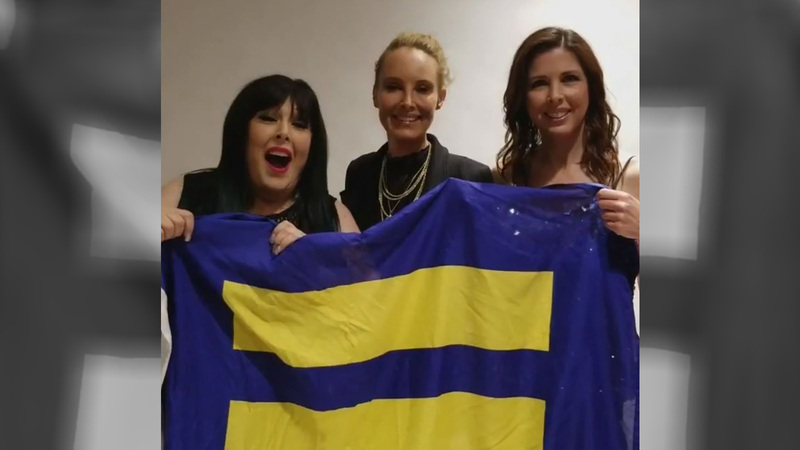 American vocal group Wilson Phillips has joined HRC’s Equality Rocks campaign. Since their first record debut in 1990, this trio – Carnie Wilson, Wendy Wilson and Chynna Phillips – has had three number-one singles on the Billboard Hot 100 and, at the time, broke the previous record held for best-selling female group of all time for a single album, selling over 15 million copies worldwide of their album Wilson Phillips. When the trio isn’t busy competing on “Dancing With the Stars,” contributing backup vocals for Rihanna or performing for HRC’s Equality Convention, you can find them on the pride circuit. In 2015, Wilson Phillips performed at pride festivals around the country, including LA Pride, D.C.’s Capital Pride Festival and Gay Days at Disney World. HRC’s Equality Rocks campaign is sparking a conversation about love, fairness and equality around the globe through music. To join, visit www.hrc.org/EqualityRocks.